Tanglewood pride themselves on crafting durable models that are suited to life in the studio and on the road. 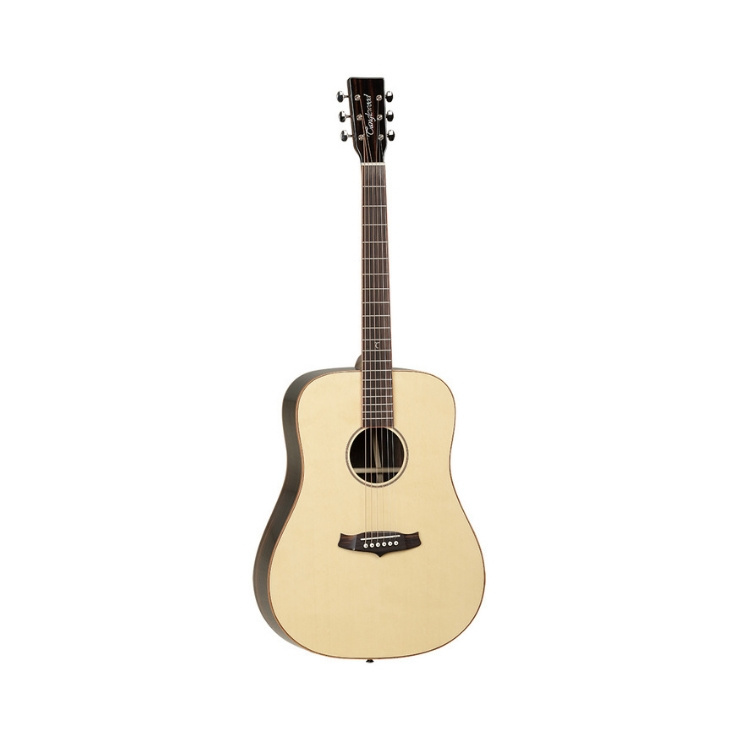 The Java TWJDS acoustic guitar is shaped to the powerful dreadnought body shape, which is a favourite amongst guitarists the world over thanks to its balanced combination of comfortability, powerful projection, impressive warmth and reassuringly sturdy feel. The smaller upper bout is paired with a larger lower bout, a partnership that creates the uniquely balanced dreadnought tonal output. 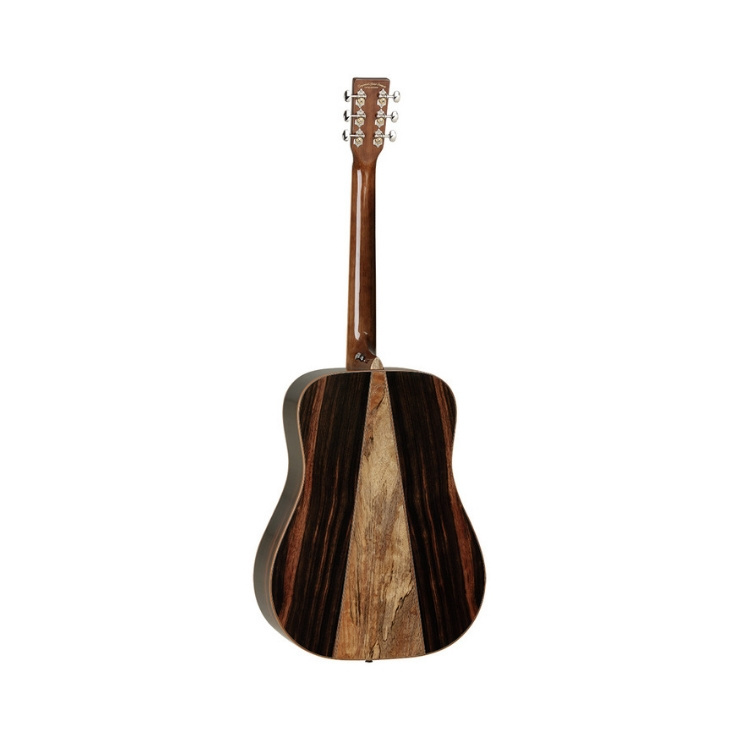 The Java TWJDS benefits from a unique selection of tonewoods for the back, sides, and top. Starting with the back, Tanglewood has employed an amara/spalt mango split, which doesn't just look pretty stunning, but delivers a mid to high frequency response with brilliant articulation. The sides have been built using amara, again creating a rich visual aesthetic as well as a robust mid-range energy. The back and side woods work well with the dreadnought body shape to guarantee a complex and forthright output. The spruce top complements the amara and spalt mango by delivering each and every note with absolute clarity. Thanks to spruce's highly resonant character, the timbre of the guitar is delivered efficiently, which secures a wide dynamic range. Whether you're a fingerpicker, or play with a pick, you can have a highly versatile output to play with. Fitted to the body is a supportive nato neck, with a slender profile that is designed to be accommodating and easy to perform on. Whether you're a seasoned pro, or picking up the guitar for the first time, the slim, wide profile makes it easy to wrap your fingers around to fret each string comfortably. Paired with the neck is a gorgeous sonokeling fingerboard, which carries 20-frets that are adorned with a single inlay at the 12th fret. The body is equipped with a sturdy and resilient sonokeling bridge, which creates a secure connection between the strings and body to optimise intonation and sustain. The tuning machines apply a firm hold to each string, upholding tuning integrity precisely throughout each and every performance.